The second phase: Stress waves and deformation. – The Projectile: A tensile stress wave is reflected back into the projectile from the armor surface. This can further disrupt and fracture the projectile, or shock an unfractured projectile into fracture. – The Armor: A shear wave propagates axially through the armor plate. The backing plate — these days, typically made of a composite material such as Dyneema or Spectra — is compressed by the fracture conoid and starts to deform. 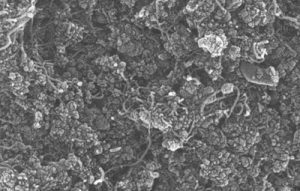 This relieves pressure at the interface between the ceramic and the backing material, and also absorbs energy, as it coverts some of the projectile’s kinetic energy into plastic deformation and delamination. – The Armor: All of the ceramic material within the area of the fracture conoid has broken up, and now consists of fine or granular particles. 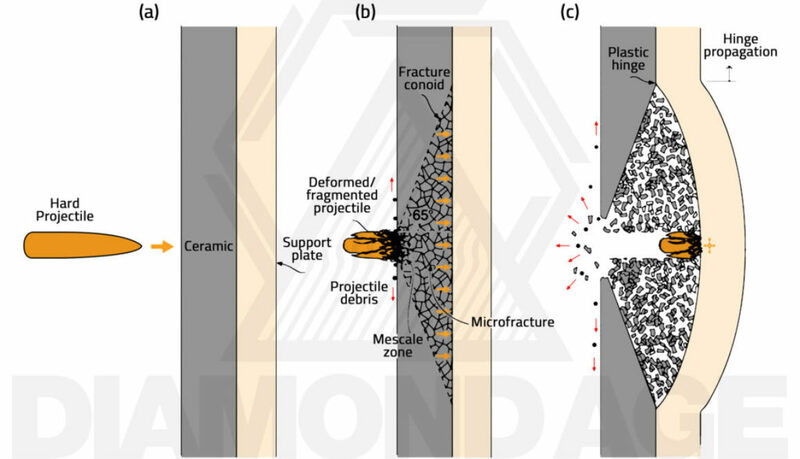 Large fractures propagate axially through the ceramic plate. 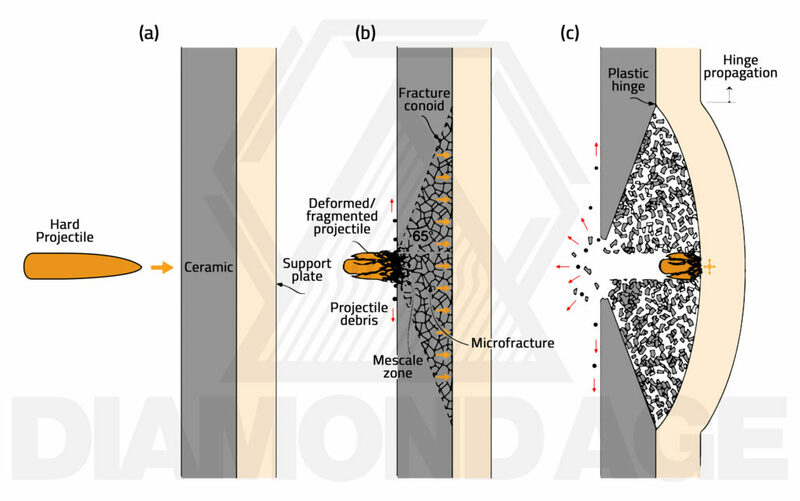 – The Projectile: If the AP core hasn’t been reduced to fragments, it penetrates the broken remains of the fracture conoid as a rigid body, albeit with significantly reduced energy. It is then either stopped by the buckled backing layer, or it penetrates the plate entirely. At impact velocities below 400 m/s, and especially below 250 m/s, the overall structural characteristics of the target are the primary factor; in other words, the local zone is much larger, and the plate is consequentially stronger. It’s an unusual ceramic armor system that would fail at such velocities. At velocities above 2000 m/s, the pressures induced by the impact event are extreme, and the penetrator and the armor can be modeled hydrodynamically — that is, as fluids. This is beyond the scope of this short body-armor-focused overview, but is of paramount importance for heavy armored vehicle designers. Hydrodynamic simulations are indeed the tank armor designer’s bread and butter, as shaped-charge jets are also best modeled as fluids. At hyper-velocities, from around 7000 to over 12000 m/s, impact energies are so extreme and explosive that the penetrator and the armor are vaporized, wholly or partially, as soon as contact is made. …Bullets don’t travel that fast, but micrometeroids regularly clock in at 8000 m/s or more, so satellites and spacecraft which require armored shells are designed with a thin exterior “bumper” which disrupts and vaporizes the micrometeroid, followed by a large airgap, and then a layer of structural armor. The bumper is typically made of a light alloy — hardness per se doesn’t seem to be important at these velocities. The structural armor is comprised of familiar materials: Ceramic and aramid fabrics. Even at 250m/s, ballistic events are fast. At 800m/s, all three phases of penetration would last mere microseconds. 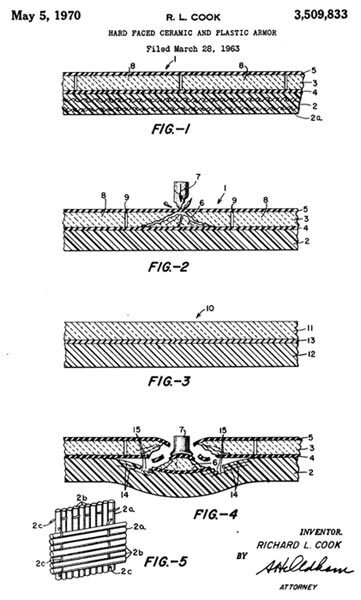 It is unknown to what extent the Cook patent was commercialized or licensed, but it is known that the Army Materials and Mechanics Research Center (AMMRC) started experimenting with ceramic armors almost immediately after that patent was filed. And indeed the Army’s first experimental systems perfectly mirrored the one mentioned in the Cook patent: They were made of alumina ceramic, with a backing material of Doron or aluminum alloy. Coors Ceramics manufactured a small number of these alumina-Doron breastplates for use in the early days of Vietnam, which likely represents the first use of ceramic body armor in combat. The armor was effective — but, as the front and back plates weighed 28 pounds (12.7 kilograms) in total and didn’t dissipate body heat, they were very uncomfortable to wear in the sweltering jungles of Vietnam; thus, like the gleaming steel breastplates of WWI, they were utilized only by aircrews, sentries, and stationary troops. The vast majority of the ceramic armor plates produced over the course of the Vietnam war were issued solely to aircrews; even so, and in spite of the fact that long-range physical mobility is not something frequently demanded of aircrewmen, they found the early alumina plates — colloquially referred to as “chickenplates” — excessively burdensome. Needless to say, infantrymen would have thrown such breastplates away at the first possible opportunity! The DoD sought out lighter and more comfortable solutions. Small quantities of silicon carbide (“Class II”) and boron carbide (“Class III”) ceramic vests were subsequently produced and issued to aircrews. The class-threes were originally made of hot-pressed boron carbide tiles, arranged in a mosaic-type array of small plates, and were extremely expensive to produce. 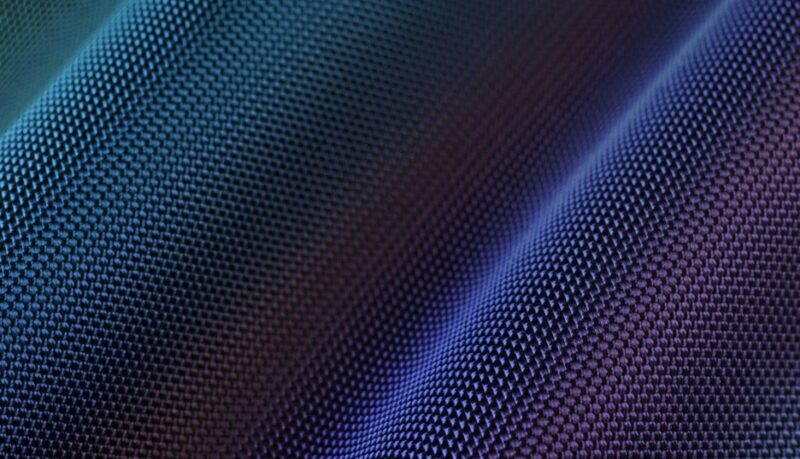 In 1965, monolithic, multi-curved boron carbide armor plates were developed by scientists at The US Army Natick Research and Development Laboratories and Picatinny Arsenal — an extraordinary engineering achievement at the time. These highly advanced, essentially modern plates were issued to aircrews in very small quantities. Dr. John Foster, Deputy Director of Defense Research and Engineering in the DoD in the mid-1960s, realized the potential of ceramic armor, and wanted to see how far his department could advance the military applications of ceramic armor. He asked his friend, Dr. Mark Wilkins at the Lawrence Livermore National Laboratories, to spearhead a project which became known as the “Light Armor Materials Program.” The primary goal of this project was to determine the optimal materials and configurations for military light armor — that is, for aircraft, light vehicles, and body armor purposes — and it’s quite impossible to see how the LLNL-based team could have done a better job; the exactingly rigorous and pioneering work of Dr. Wilkins and his colleagues stands out as the most impressive body of work in the field of armor science. The LLNL team started by preparing a database of all known low-density ceramic materials with desirable mechanical properties for armor purposes, such as high hardness and compressive strength. This list included all of the ceramic materials that are in use today: Alumina, silicon carbide, titanium diboride, and boron carbide. 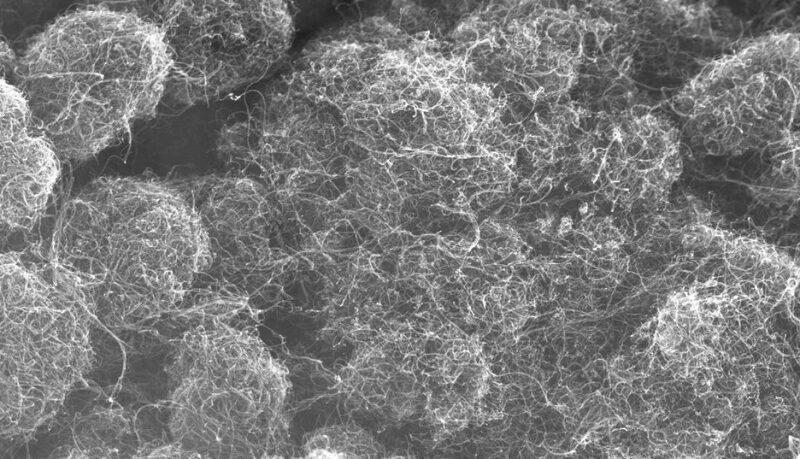 It also included a number of materials that have never seen use, such as the beryllium borides Be2B and Be4B, the aluminum boride AlB12, and the intermetallic titanium beryllide TiBe12, among many others. Wilkins and his colleagues then combined real ballistic experiments with numerical simulations. The experiments included flash radiography, microstructural analysis, the measurement of residual velocities, the analysis of failure modes, and the development of a standardized .30-caliber monolithic hardened-steel test bullet. The 2D numerical simulations were the first of their kind, and the “HEMP” model developed by Wilkins himself and used by the LLNL team was the basis for a great deal of subsequent work in the field. These axioms guided the next few decades of armor research. They are only just starting to show their age, as will be discussed here in the future. Wilkins and his colleagues made a few other noteworthy observations. First, they determined that “functionally graded materials” — that is, materials where the transition from hard to ductile proceeds in a gradual, graded manner, are potentially highly effective as armor materials. What’s more, unlike ceramics and ceramic composites, graded materials can be used for structural, load-bearing purposes. 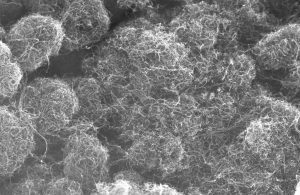 The LLNL team also determined that inherent ductility in ceramic materials improves performance markedly. Unfortunately, only a few low-density ceramics (the beryllium compounds BeO, Be2B, and Be4B, and magnesium oxide, MgO,) exhibit any ductility, and most of them proved completely unsuitable for armor use. Experiments in ceramic-metal hybrids — cermets — which would presumably exhibit the high hardness and low density properties of ceramics, yet retain some of the ductility of metals, were subsequently pursued. These experiments met with limited success. 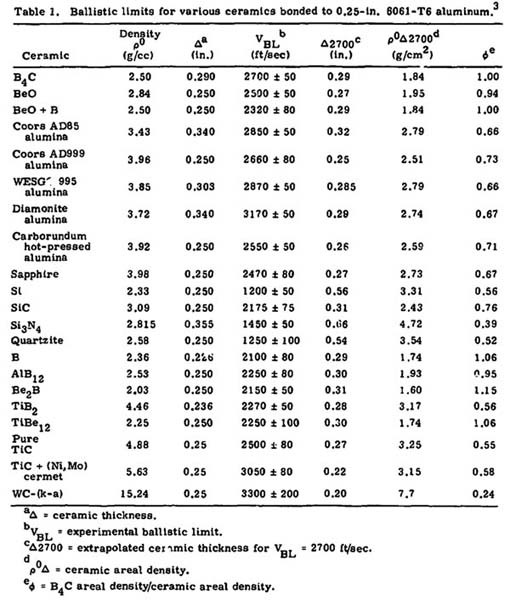 Cermets with desirable mechanical properties were made — particularly in the titanium carbide-nickel system — but these were relatively high-density materials, at over 5g/cm3. Low-density cermets were not successfully fabricated at that time. Experiments in lightweight systems of presumably high potential — such as, for instance, aluminum-boron carbide — were generally unsuccessful. As boron carbide and silicon carbide armors were in use prior to the establishment of the Light Armor Materials Program, and as no useful material was found that surpassed them, the LLNL’s program had little impact on the course of the Vietnam war. But Wilkins and his colleagues shaped the fields of armor engineering, terminal ballistics, and ceramic fracture mechanics, for decades to follow. A lightweight aluminum-boron carbide cermet was eventually produced by a different US Military contractor, in a follow-up on some LLNL research on the same system. Although it performed well in ballistic experiments, it was difficult to fabricate and proved far too expensive for broad use, so only a handful of experimental plates were made. Functionally graded materials have never been successfully produced in bulk for armor or aerospace applications. Despite their initial promise, the manufacturing difficulties associated with their fabrication have thus far been impossible to overcome. At the time of this writing, boron carbide, silicon carbide, and alumina plates over a ductile backing material still represent the “state of the art,” so to speak, in ceramic body armor. Thus, needless to say, there has been limited technical progress in the field since the mid-1960s. Advances in light armor polymers, e.g. 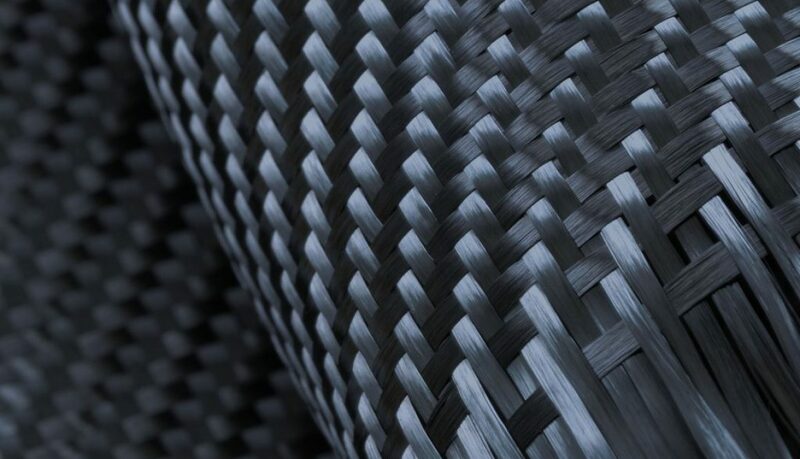 aramid and Dyneema, have rendered fiberglass-reinforced thermoplastics like Doron obsolete, and so the backing layers in armor plates have become lighter, thinner, and more effective — but nothing has yet been found which might replace or improve the ceramic materials which have been in use since the mid 60s. The major development of recent decades has been the development of reaction bonded silicon carbide and reaction bonded boron carbide. (RBSiC and RBB4C, respectively.) In 1998, Lanxide Armor Products closed up shop. A few years later, their intellectual property rights were bought by M-Cubed Technologies. 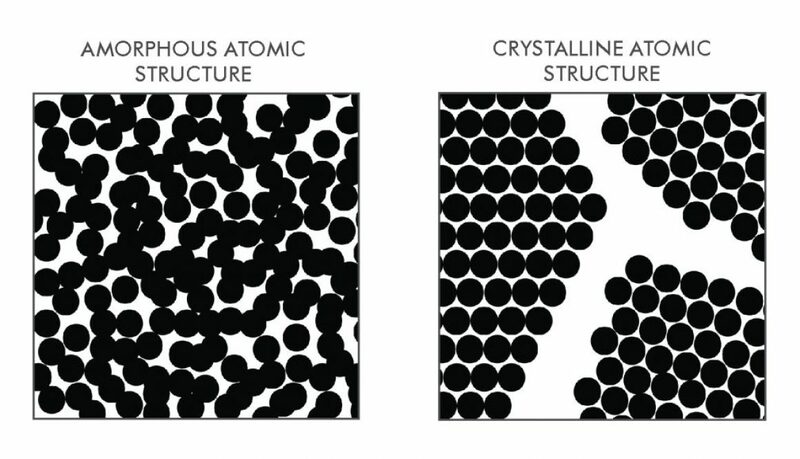 M-Cubed, doubtless drawing upon Lanxide’s research data and production equipment, then developed the reaction bonding process, whereby molten silicon would infiltrate sponges of either porous silicon carbide and carbon, for RBSiC, or boron carbide, for RBB4C. In the former case, the result is a Si-SiC cermet. In the latter, a composite B4C-SiC-Si cermet. So-called “reaction bonded ceramics” are relatively easy to fabricate — RBB4C, in particular, is much cheaper and easier to manufacture than hot-pressed boron carbide — a fact which has enabled their production in large bulk quantities. Furthermore, much unlike hot-pressed materials, which tend to be flat plates or discs, reaction bonded ceramics are relatively easy to manufacture in various different geometries and curvatures. But these reaction bonded ceramic materials, which are actually silicon cermets, display inferior mechanical and ballistic properties. RBB4C, especially, is very inferior to hot-pressed boron carbide as an armor material: It is half as hard, it is much less effective at stopping tungsten carbide cored rounds, and it is significantly heavier than hot-pressed boron carbide; it often clocks in at 2.65-2.8 grams per cubic centimeter. The progress of recent years, therefore, has not been without its drawbacks; it has resulted in armor materials that are, in many key respects, actually inferior to those used in the Class II and Class III Chickenplates of the Vietnam War! And yet, with that said, reaction bonded cermets are extensively used in the US Military’s latest body armor systems. In today’s CONUS police and civilian markets, virtually all ceramic armor systems are made of alumina over aramid. Silicon carbide plates are obtainable, but are fairly rare and relatively expensive. Boron carbide plates are very rare and can be exorbitantly expensive — likely on account of the fact that boron carbide, unlike silicon carbide and alumina, is of limited industrial use, is not produced in huge quantities, and the military’s suppliers don’t sell their armor plates to outside markets. Nominally B4C,”boron carbide” denotes a number of possible compositions, from the carbon-rich extreme of B4.3C, to, on the other end of the spectrum, the boron-rich extreme of B10.4C. Commercial boron carbide is generally far closer to the carbon-rich extreme, so it’s not inappropriate to simply use the common “B4C” nomenclature. 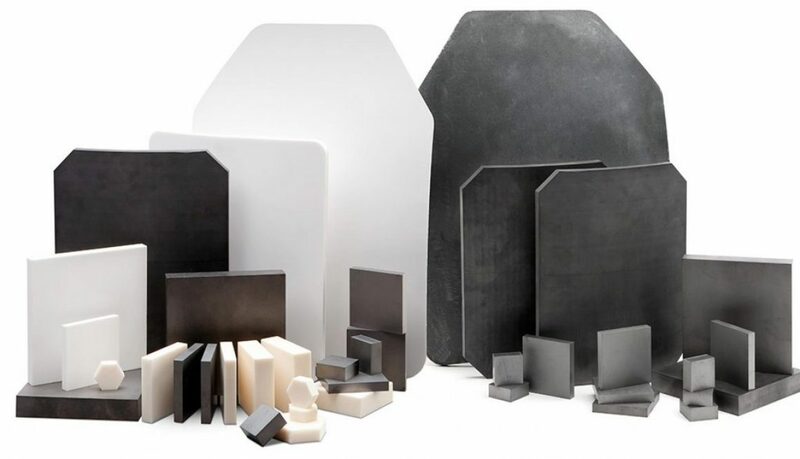 Boron carbide is a dark gray ceramic which possesses exceptionally good mechanical properties — particularly in its low density and high hardness. It is, however, difficult to densify from powder, on account of the covalent nature of its bonding, low surface tension, poor plasticity, and high slip resistance on grain boundaries up to temperatures approaching its melting point. Processing difficulties mean that it’s generally a very expensive material, and pure hot-pressed boron carbide is extremely rare as a body armor material, but is generally considered to be the best material that money can buy. This is true, with one caveat: Boron carbide armor under-performs against tungsten carbide cored bullets, on account of the fact that its crystal structure collapses (undergoes shear amorphization) under the high pressures typical of ballistic impact from WC-based rounds. -Beryllium’s 2018 price is approximately $2000/kg. Assuming each armor plate of Be2B would require approximately 750 grams of beryllium, and assuming each soldier requires at least two plates, the cost to outfit a division of 12,500 men in beryllium armor would come out to nearly $40 million. Those same soldiers could be outfitted in (admittedly sub-par) alumina plates for significantly less than $1 million, and in boron carbide of the absolute finest quality for less than $5 million. The Soviets, in contrast to the Americans, made extensive use of titanium as a body armor material. In 1979, shortly after the initiation of the Soviet-Afghan war, the 6B2 armor vest was issued to troops on the ground in Afghanistan. The 6B2 consisted of an array of titanium alloy plates, each just 1.25mm thick, bonded to 30 layers of twill-weave aramid. The shell was made of nylon, with Velcro fasteners — and it’s worth noting that Velcro was a very new material at the time, so its appearance on Soviet vests led to speculation as to the vest’s origins. Total system weight was 4.8kgs, including front and back portions. Protection from shrapnel and low-velocity rounds was deemed adequate, but the 6B2 was completely incapable of stopping high-velocity aimed projectiles. In fact, it reportedly could not stop 7.62x39mm rounds fired from distances of 300-500 meters. The 6B2 was therefore much like the Vietnam-era flak jacket in many respects, even in appearance, but markedly heavier. The 6B2 was quickly replaced in service by the 6B3TM, a still heavier version, where the thickness of the titanium plates was increased to 6.5mm. This change increased the weight of the vest to 12kg. It was then changed again, in the 6B3TM01, to a version with front plates which were 6.5mm thick, and rear plates which were 1.25mm thick. This final version was roughly 9kg in total weight. Having said all of that, it is exceedingly unlikely that 6.5mm-thick plates of titanium would stop 7.62x39mm or 5.56x45mm rounds at anywhere near muzzle velocity — but they would have done the job at engagement distances of 200-500+ meters. In 1985, midway through the war, the 6B4 was introduced. 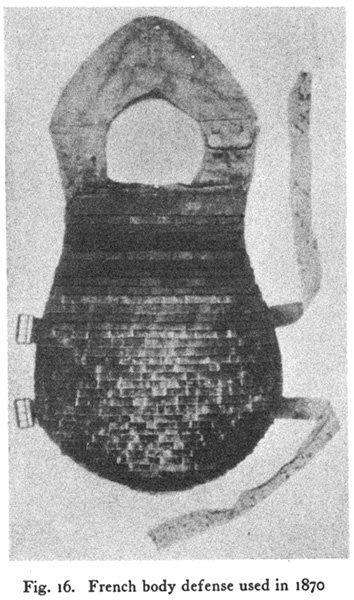 This was an armor vest made of boron carbide and aramid, similar to those issued to certain soldiers in Vietnam, doubtless of much greater protective ability than the titanium armor vests which preceded it. Ceramic strike faces feature heavily in subsequent models of Soviet and Russian armor — though, until quite recently, body armor in Russia often comprised titanium and steel portions. This appears to have been eschewed entirely in recent years; the most advanced Russian model at present, the 6B46 “Granite 5a” armor plate, appears to be made entirely of silicon carbide over aramid. 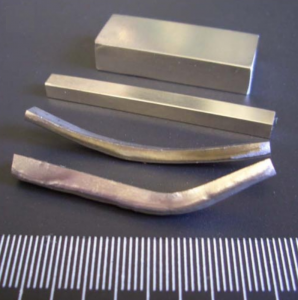 Ti6Al4V is an alpha-beta titanium alloy comprised of 90% Ti, 6% Al, and 4% V. It has a density of 4.43g/cm3, a hardness of 334HB, a yield strength of 880MPa, tensile strength of 950MPa, charpy impact at 17 J, and elongation at 14% in 2″. It has a shear strength of just 550MPa. Russian Armor-Grade Titanium is a titanium alloy also comprised of 3% Al, 5.15% V, 3.65% Cr, with trace amounts of boron, zirconium, and molybdenum. It has a hardness of 387HB, and a density of 4.62 g/cm3. Its other properties are unknown, but it is not unreasonable to assume that it possesses greater yield strength and tensile strength than Ti6Al4V, an inferior charpy impact strength, and inferior elongation. Adjusted for weight, the US Army Research labs have determined that the ballistic performance of Ti6Al4V is superior by roughly 7% to that of the aforementioned Russian alloy. Adjusted for weight, I repeat. As Ti6Al4V is about 5% lighter, what this means is that the two alloys perform nearly identically at equivalent thicknesses. The differences in mechanical properties are apparently not of great importance; the lighter alloy performs better largely on account of its lightness; if titanium alloys are still of interest to body armor designers, I’d imagine that one priority should be the development of a lightweight titanium armor alloy — perhaps with a higher volume fraction of aluminum. In any case, as the above paragraphs clearly show, both titanium alloys possess a great strength-to-density ratio, and both are comparable in hardness to rolled homogenous armor (RHA) steel. What is less obvious is titanium’s propensity to fail via plugging, which markedly reduces its utility as a standalone armor material. 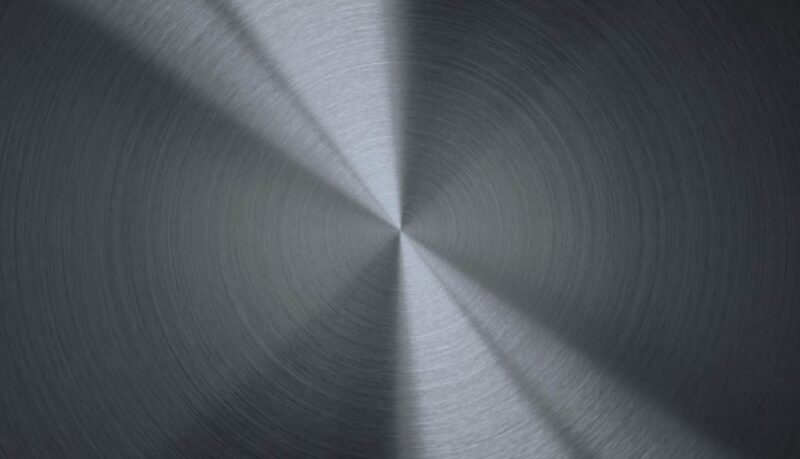 When a titanium alloy plate is struck by a high velocity projectile, shear strain, strain rate, and temperature can rise to very high values over a very small surface area. Titanium’s relatively poor shear strength, combined with its very poor heat transfer properties, make it inherently susceptible to fail catastrophically in such situations via a phenomenon known as adiabatic shear plugging. This problem becomes almost insurmountable when titanium alloy armors are used at low thicknesses — thicknesses typical of body armor! For this reason, it is our view that the further development of titanium as a body armor material is not warranted. This is reminiscent of earlier eras. As was noted in a previous post, Alexander the Great and the tacticians of the 16th century both recommended that little-to-no armor be worn on the back, “on the ground that it [is] unnecessary, and that its absence would discourage cavalry from turning its back to the enemy.” This is, to a certain extent, nonsensical in modern warfare: Epidemiological studies indicate that the back sustains just as many injuries as the front, from shrapnel in particular. However, the back doesn’t need as much protection from rifle fire — as it is also quite typical that 70-80% of battlefield casualties who have sustained bullet wounds were shot from the front; bullet entry wounds in the back are markedly less common. It is unfortunate, then, that steel armor saw only very limited use in that war. 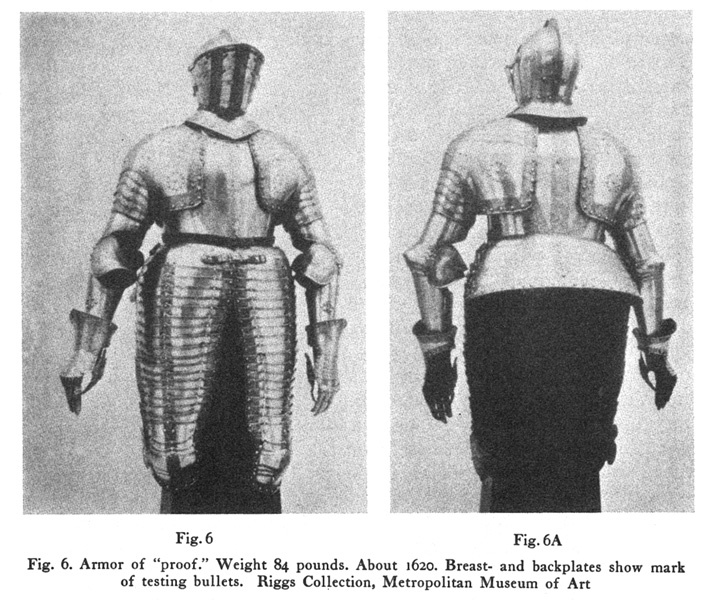 British and American field tests, in 1941, with manganese steel vests were judged unfavorably; all reports indicated that the advantages they might bring their wearers would be negligible compared to the loss of combat efficacy and the increased carrying load — despite the fact that the body armor system in question was around 1.5mm thick, on average, and weighed less than 3 pounds in total. In 1942, following reports from aircrews of extremely dense flak that would punch through airframes and injure crewmen, the UK Royal Air Force started issuing steel armor to its aircrewmen. The armor they developed was initially comprised of 1mm thick manganese steel plates, 2 inches square, sewn into pockets, over a backing of flax canvas. It was offered in different cuts, from full-cuts which included leg and groin protection, generally intended for gunners who had to operate from a standing position, to vests which covered the front of the torso only, generally for pilots. Depending on the extent of coverage they provided, the weights of these early flak armor suits were from 4.5 to 16 pounds. The US quickly adopted the design, and issued flak jackets to US Air Corps aircrewmen and US Navy personnel on aircraft carriers. The composition of the steel remained identical from a metallurgical perspective, and the thickness and size of the plates was not changed, but the backing was upgraded from canvas to ballistic nylon, a fact which increased performance considerably. Late in World War II, when flak jackets were ubiquitous among airmen, there was a reduction of 60% in the total number of combat-related wounds. As it turns out, the reports of steel body armor’s death were greatly exaggerated, for it has enjoyed a marked resurgence in recent years. AR500 — an industrial grade of abrasion resistant steel with a Brinell hardness of approximately 500, thus “A R 500” — had initially been marketed as a steel target material, made possible by its ability to resist penetration from rifle fire in thin sections, and popular due to the satisfying sound and sparks it makes upon impact, which are audible and visible from great distances. Around 2011-2012, private US companies began selling AR500 armor plates to the civilian and law-enforcement markets in earnest. These plates were approximately 6.3-6.5mm thick, weighed 7.5lbs (3.4kg) in the popular 10×12 inch “shooter’s cut,” and were generally, but not always, coated with a layer of polyurea to mitigate spalling and help prevent ricochets. Ballistic testing showed that such plates generally had little problem resisting multiple shots from the 7.62×51mm M80 Ball and similar rounds, and could stop M855 at muzzle velocity, but were likely to fail against extreme-high-velocity rounds, such as 5.56mm M193 rounds traveling at 3100+ feet per second — velocities typical of shots fired at close range from a 16″+ barrel. AR500 armor plates are wholly incapable of stopping AP rounds at typical engagement distances, even such lowly AP rounds as the 7.62x39mm API-BZ. Yet on account of their low thickness, durability, wide availability, and extremely low cost at less than $100 per plate at retail, AR500 armor plates very quickly became the most popular form of rifle-rated armor on the civilian market. Indeed, plates seemed to sell faster than the manufacturers could produce them! As of 2016, major military contractors and armor OEMs, doubtless taking a cue from AR500 Armor, had begun to offer steel armor plates. The most noteworthy of these was Tencate’s 8075SA, which, at a thickness of just 5.08mm and a weight of 6.2lbs (2.83 kg), was claimed to stop the M193, M855, M80 Ball, and 7.62×39 PS Ball rounds — all at muzzle velocities from full-length barrels. 2.83 kilograms is still, however, markedly heavier than the ceramic composite plates currently available, and all steel plates are, again, incapable of stopping steel-cored AP rounds. The 8075SA was also noteworthy for its unusually high price — it retailed for several hundred dollars per plate, and as of January 2018 seems to have been discontinued, presumably due to low demand. The militaries of the world have, as yet, shown little-to-no interest in steel armor, though the civilian market for such plates continues to thrive. I believe that this is unlikely to change in the near future. I’ll mention in passing that steel, and often very good grades of steel, remains the premier material for use in vehicular armor. In light of this, it’s also worth mentioning that the vehicular armor market is roughly ten times larger than the body armor market. Steel remains, therefore, the world’s premier armor material. AR500 is a low alloy steel, of medium carbon content (0.31%), quenched and tempered to a hardness of approximately 500HB. It is weldable. Yield strength is typically 1515MPa, tensile strength 1620MPa, charpy impact at 24 J, elongation at 14% in 2″. It costs roughly $2/kg in bulk, and is among the cheapest armor-grade steels available, likely due to its lean metallurgical profile, along with the fact that it’s produced in bulk for industrial use. (Nickel-rich and cobalt-rich alloys are much more expensive, as are high-strength specialty steels that are only produced in small batches.) The US military specification MIL-DTL-46100E “High Hardness Armor,” is closely analogous to AR500, but is intended for vehicular use. ARMOX Advance is a ultra-high hardness steel used primarily for vehicular armor, but also of interest for body armor. It is a low alloy steel, with nickel as the primary alloying element. It is quenched and tempered to a hardness of approximately 670HB. Yield strength is 1600MPa, tensile strength 2250MPa, charpy impact at 14 J, elongation at 9%. Armox claims that just 4.5mm of Armox Advance can defeat the 5.56x45mm M193 at 937m/s or 3075fps — just a couple hundred feet per second below muzzle velocity. Deutsche Edelstahlwerke Megafort-Z (previously Thyrodur Z) is a Ni-Cr-Mo-alloyed steel marketed as a premium vehicular armor material. It can be quenched and tempered to a hardness of approximately 575HB. At this hardness, tensile strength is 2000MPa, and elongation is over 14%. A 3.8mm thick panel of Megafort-Z can defeat the 7.62×39 PS Ball round at 700 m/s, which is muzzle velocity. This is a very impressive feat. Armox advance and Megafort-Z represent, each in their own way, the high-end of the steel armor market, whereas AR500 is without question the most common alloy used for body armor today. For comparison’s sake, the armor steel used in the flak jackets of WWII, Hadfield steel, was an austenitic manganese steel with a carbon content of 1.2% and a manganese content of 12%. Its tensile strength was approximately 500MPa and its yield strength was 860MPa. Hadfield steel is not a very hard steel, at generally just 240HB — however it shows extensive strain-hardening effects, and can reach hardnesses of over 400HB (along with correspondingly higher strength) upon impact or if pre-treated via compression or shot peening. It may be interesting to note that there are maraging steel grades which exhibit tensile strengths higher than 3100MPa, combined with great elongation and fracture toughness, and hardness values which exceed 700 HB. (!!) 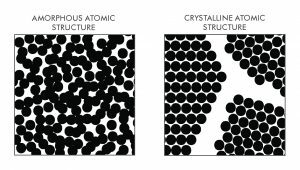 These maraging steels are, however, chemically complex, and orders of magnitude more expensive and difficult to produce than low alloy steels. (I’ve seen maraging steels cost as much as $345/kg, and there are surely even more expensive grades.) Their production and export are also tightly controlled, as steels of this extremely high grade are often used to manufacture centrifuges for the separation of nuclear materials. For these reasons, maraging steels with tensile strengths over 2300MPa have never been utilized in military armor. Their military uses are presently restricted to missile skins and other applications where strength is prioritized at any and all costs. It is frequently said that steel metallurgy has been exhausted — that it’s unlikely that future steel armor systems will be able to improve significantly upon the current state of the art. This is an erroneous belief, but that’s a matter for a future post. An interesting aside is that the design of the modern military helmet dates back to WWI. Dr. Bashford Dean, the author of the previous post, contributed a number of helmet designs to the US Army, one of which rated very highly, but was judged to be too similar in appearance to the standard-issue German helmet of the time, so it wasn’t approved for use! The German helmet was itself based on a medieval design, and was judged to be the most effective helmet of its time. There are numerous personal accounts of this, but the very best is the famous “Company Commander: The Classic Infantry Memoir of World War II” by Captain Charles B. MacDonald. The use of artillery in Captain MacDonald’s account was seemingly ubiquitous — it featured in every action and every operation — and the vast majority of the casualties mentioned in the book were hit by shrapnel from shells or mortars. Although steel body armor passed out of military use a very long time ago, the steel M1 helmet remained in use until the early 80s, at which time it was replaced by the Kevlar PASGT helmet. Interestingly, the M1 and the PASGT are very similar in weight, are quite similar in ballistic protective ability, the M1 is significantly cheaper to produce, the M1’s liner made for a one-size-fits-all solution, and soldiers in the field have always found the M1 useful for cooking and shaving, whereas the PASGT was useless for those purposes… so one could certainly call into question the wisdom and necessity of the M1’s replacement! The Kevlar PASGT, although of similar performance vs. bullets, does, however, exhibit a much higher V50 versus fragments and fragment-simulating projectiles. If there’s one significant take-away message, if there’s a “bottom line,” it is that armor wasn’t simply abandoned because it was ineffective against the musket and arquebus. To the contrary, it was strikingly effective; yet the development of firearms forced armor to become increasingly heavy and increasingly plain. Subsequently, strenuous infantry tactics reminiscent of modern maneuver warfare, which had begun to be implemented around the time of the Thirty Years’ War of the mid 17th century, encouraged soldiers to do away with as much of their armor as possible. Thus armor became, in the words of Mr. Dean, “unfashionable, then unpopular and in the end discredited” among fighting men. It therefore follows that the aim of the modern armorer — to strike the best balance of performance and weight — is a well-founded one, but that there’s more to it than just that: Tactics and the realities of war must also be taken into account. 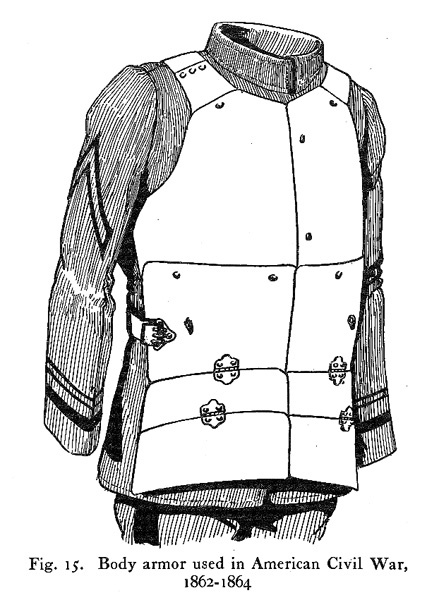 Adapted from Helmets and Body Armor in Modern Warfare, published 1914. HELMETS and body armor are usually considered as objects beautiful, rather than useful. They are exhibited in museums, in halls hung with tapestries, beside faience, ivories and enamels of olden times. Some of them were designed by artists whose names are highest of all in the history of art, Raphael, Leonardo, Donatello, Holbein, Michael Angelo and those who actually made and decorated the armor were masters hardly less distinguished. Certainly in their day they were paid the highest honors. Seranno di Brescia, armorer of Francis I, was received at court on the same footing with Titian; the Milanese Missaglia lived in princely splendor, and Seusenhofer, the helm-smith, was one of the intimates of the knightly Maximilian. It is, then, from the viewpoint of artistic excellence that armor has largely been treated, especially as to its decoration and its various forms. Its technical side is little known, and few there are, even among specialists, who have considered how difficult armor was to make, and how time consuming, for a suit of armor of high quality might cost its maker years of labor. And, particularly, little is known as to its usefulness in combat, which, none the less, was the main if not the only reason for its existence. Armor, in a word, has been studied as a dead language or, better perhaps, as the bones of a fossil animal, which the anatomist examines attentively and from which he is led to explain the habits and capabilities of the animal itself. Nevertheless, there are clearly other paths leading to a knowledge of armor which deserve to be more carefully followed, and two of these, especially, guide us in practical directions. One of them points the way to early references, which at the best are scanty and difficult of access, but which tell quite accurately what armor could do and how the early masters gained their results, a path opened up delightfully for us by M. Ch. Buttin  in his studies of early armor of proof. Following the second path we can actually test pieces of ancient armor and then compare the results with ballistic studies on modern “armor plate” : continuing this comparison we can then submit the old material to metallurgical examination, chemical and physical (including microscopical), and thereby gain definite information as to how the ancient steel was produced. The reason for the present lack of information as to the practical nature of armor is not far to seek. Little was written systematically upon this theme in olden times, and later, when armor disappeared from general use, little was remembered about it. That it would again appear as part of the regular equipment of a soldier seemed to nearly everyone a possibility infinitely remote; “for,” it was reasoned, “if armor were discarded even in the seventeenth century, in days of primitive gunpowder, how could any form of armor reappear in warfare when high explosives were used?” Hence the field of the practical nature of helmets and body armor was abandoned to an occasional antiquarian. Nevertheless, as in so many other phases of the Great War, armor did reappear in use, and thereupon there arose at once an interest, and a very practical one, in the discarded work of the armorer. Questions were speedily raised by the general staff of every warring country as to what helmets and body armor could do in protecting the soldier, what were their best forms and how they could be most speedily prepared? It may be safely said that there was not an important collection of ancient armor in Europe which was not visited by commissions, collectively or individually, in an effort to learn from the experience of the past. Before proceeding to the already highly developed field of modern armor, let us review briefly the work of the ancient armorer from the viewpoint of its practical value. This aspect of the subject, as we have noted, is surprisingly little known, not merely to the student of recent armor but to the antiquarian as well. The modern expert, as I have found, has often the belief that ancient armor was but a semi-barbarous defense, serviceable only against arrows, slings and swords. The antiquarian, on the other hand, is apt to forget that its primary virtue was serviceability and that the keenest minds had studied it from this standpoint from the earliest times. Let us refer to Fig. 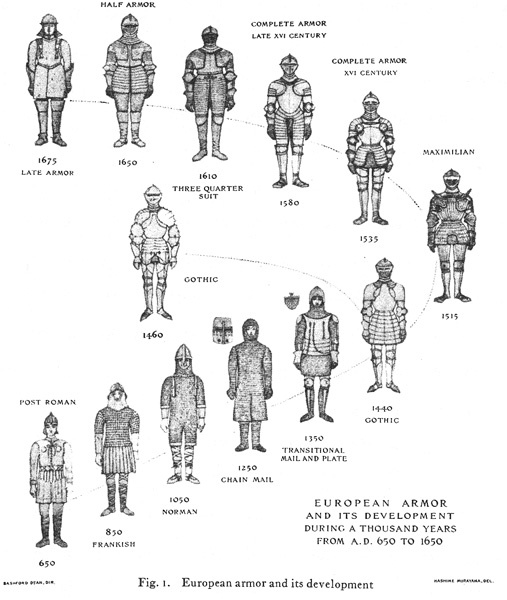 1, which illustrates the various types of armor used in Europe during a thousand years. In early times we see a jacket of padded hide discarded in favor of a coat of scales; and this in turn give place to a garment of ring or chain mail worn over a padded costume. Chain mail more or less complete was used for centuries, it was worn, not uncommonly indeed, down to colonial days in America, but nearly always more or less enclosed in armor of plate. Plate armor was most elaborately developed in the epoch of Columbus, when the knight and his horse, Fig. 2, became almost invulnerable. By Puritan times armor had become reduced to little more than corselet and headpiece. Leathern armor then reappeared in use and the soldier’s leathern coat and heavy leg-gear were practically of the same defensive value as in the earliest time. Assuredly yes. Upon this point the evidence is definite. No well-made armor could have failed to preserve its wearer not merely from a very large percentage of thrusts of arrows, bolts, lances, swords and daggers, but from blows of heavy impact, given, e.g., by military hammers, flails, maces, war axes; also from the firearms of the day. As token of this one may point to the evidence of ancient and formidable injuries which numerous specimens of armor exhibit today; and one may even affirm that there was scarcely a famous soldier in those days who did not owe his life, directly or indirectly, to his armor. 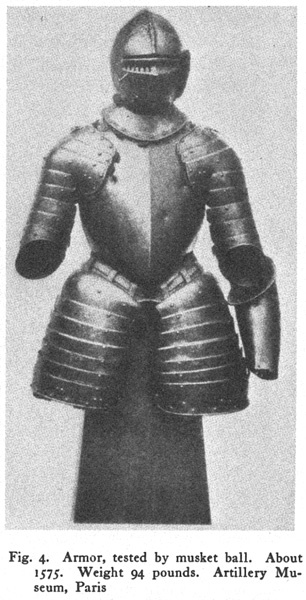 In fact, in tilts and single combats each wearer demonstrated many times the value of his defenses; thanks to them we know that such an artist in ring-duelling (champs clos} as “le bon chevalier” Jacques de Lalain, withstood the heaviest blows of a combat-axe wielded by both hands of a “fearful adversary.” And we know that the blows of such an axe were trenchant indeed: its head weighed from three to five pounds; its shaft, weighing about two pounds, was over five feet long, to enable it to be swung with great effect. Can we picture, too, the thrusts which the armor of such a duellist resisted when a similar arm was used reinforced with a heavy blade or spike? Chain mail, which one rolls in his hand today, wondering how so “flimsy” a material could have been a protection, was also of the greatest value. Against sword, dagger, arrow, bolt and light lance it was unquestionably proof. Indeed, no better testimony is needed as to its merits than the fact that for at least two thousand years it was worn constantly and in large numbers, in spite of the fact that its average price of purchase appears to have been greater than that of any other type of armor. A single instance may here be cited as evidence of the virtue of chain mail. At Tiberias (1187) when the crusaders were hemmed in by the Saracens, after two days of hard fighting, when most of the foot soldiers were killed or wounded, when hardly a horse in the army could carry its rider, the mail-clad knights are known to have suffered no serious casualties! Yet over a thousand of them exposed themselves constantly. Mail, on the other hand, was not found proof to unusually heavy shocks. A stout lance or a musket ball was its bane, and the later history of mail finds it in use, as we have noted, only as a secondary defense, usually under armor of plate. Whenever it was worn it required supplemental padding to take up the shock of the blow. 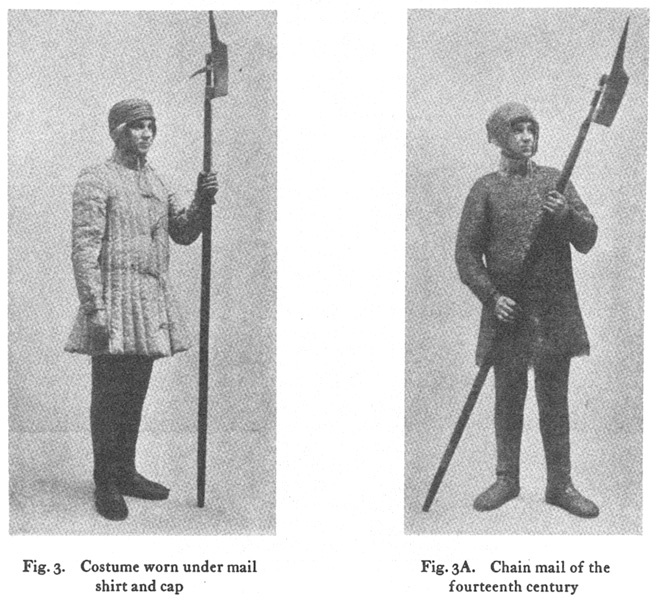 Ancient “documents” show what manner of quilted costume was worn under the mail, and in Fig. 3 one of these has been copied. When over this the shirt of mail is fitted (Fig. 3A), the wearer can withstand heavy blows with surprisingly little discomfort. That is to say, the mail with its padded costume becomes an elastic, springy complex or shield which deadens a blow with unexpected ease. Experiments made by the writer in this direction converted him to the faith that mail as a type of armor is by no means to be despised. Armor of plate was a far stouter defense. Gothic armor withstood at short range the straight impact of a heavy crossbow bolt. And the ponderous armor of the late sixteenth and early seventeenth century withstood the shock of heavy bullets. Historical instances are not rare when armor saved its wearer from bullets at close range. About 1570, Strozzi, probably wearing the type of half-armor shown in Fig. 4, was hit by a musket ball at short range; he sustained no injury, his breastplate showing only the splash of molten lead; on another occasion, as he entered a breached wall, he was struck at a range so close that he was knocked down, the ball denting his armor; again, at the siege of Rochelle (1573) he was thrice struck on the arms, and he himself relates how he came off “cheaply.”  We also read in Brantome that in 1563, at the siege of Orleans, Dandelot was saved from a musket ball by the round shield which he carried; here the impact was so severe that he, too, was knocked down. If we examine these old records we are surprised to find how often armor saved its wearer. His corselet, for example, saved Francis I “several times” at Pavia. At the siege of Rochelle mentioned above we learn that a certain Captain St. Martin remained uninjured after having been struck by musket balls no less than thirty times! So, too, the great Condé, armed probably after the style of Fig. 5 or 6, was saved many times by his armor; we have a contemporary note (1652) that at Port St. Antoine his cuirass was “full of dents.” And so it goes. There is no question, therefore, that armor was useful even at a time when gunpowder was in general use. Moreover, the bullet of that period was usually of large caliber; its crushing effect must have been great, and its shock formidable. The fact is clear that had cases not been numerous in which the soldier was saved by his armor, the armor would not have been worn. Nor was the burden too great, considered from every viewpoint, if by means of his armor a particular person could be preserved. For those were days of individualism. And the personality, courage and resourcefulness of a leader would often spell the difference between the victory and the defeat of a nation. Had Marlborough been shot, whom his soldiers followed blindly, what might have been the outcome of the battles of Malplaquet, Ramillies, or Blenheim? Or was it not of the greatest importance to the French nation that Joan of Arc should be protected by armor of best possible proof? We know indeed that she was several times saved by her armor. Fancy, too, how the history of the world might have changed had the Black Prince been killed in battle; or Cromwell, or William of Orange, or Francis I or Charles V. Yet we know that all of them exposed themselves with reckless determination, and that all of them were armored by masters. One has only to visit the royal armory in Madrid today to know what such a man as Charles V thought of the practical value of armor. He was literally a specialist in its study and he provided himself with armor for every eventuality and of every weight. He graded his armor as an optician classifies his lenses; in one instance he had at least eight reinforcing pieces for a single helmet. And for tilting he did not hesitate to wear armor which would stand a supreme shock. 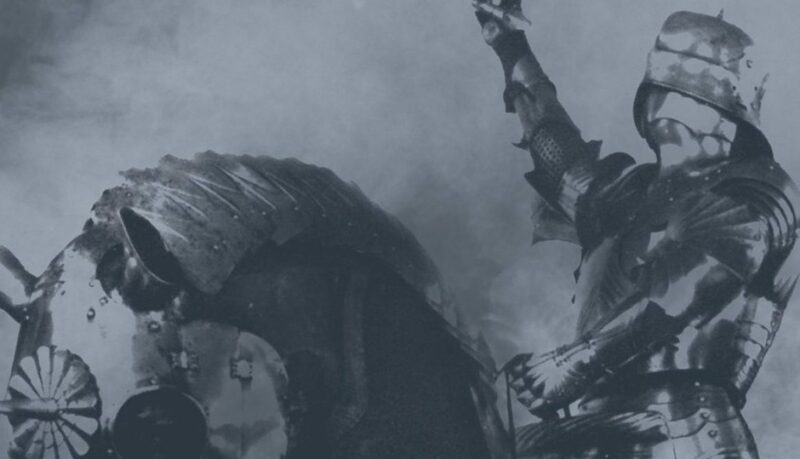 He was a man of modest stature and proportions, yet his tilting armor in one instance weighed no less than a hundred and twenty-five pounds and his helmet alone over forty pounds! (C) How was early armor made? The best material used by early European armorers came from special localities, where the iron occurred in natural association, probably with chromium and nickel, thus producing an alloy of great ballistic resistance. This material, e.g., from Innsbruck or Bilbao, became a staple article of commerce during the Middle Ages; it was sold in bars or in plates; the latter had been hammered out, sometimes by hand, but usually by a trip-hammer operated by water power. (See Agricola, Georgius, De re metallica, Basel, 1546.) In making armor the armorer worked his metal sometimes hot, sometimes cold, depending upon the kind and quality of work which had to be performed. The details in making armor need here be noted only in so far as they furnish materials for comparison or contrast with the modern methods. (D) How was armor tested ? It is not hard to conclude that the armorer, during all periods, took practical means of showing to the purchaser of his armor that it was of good quality, or “proof.” And the early records when carefully examined bring out numerous details indicating in what way and under what conditions the testing or proving of armor took place. That it was often done on standard lines there can be no doubt. And it was occasionally carried out under particularly severe conditions. In this connection let us review a number of tests. It would be interesting to know just what this test represented in terms of modern ballistics. That it was severe goes without saying, especially since the bolt of a catapult, which represented the siege artillery of that day, had a weight which would have been hard to stop (perhaps as much as ten ounces, i.e., double the weight of a heavy war-bolt of a windlass crossbow). In modern terms it is even fair to assume that had the breastplates in question been of low carbon steel, and they probably were, they would have stopped a machine gun bullet at about three hundred yards. It is surprising, therefore, that the earliest instance of a military proof of body armor recorded, occurring some twenty-three hundred years ago, should have given essentially modern results, but, naturally, at the cost of greater weight. Detailed records of proving European armor do not next occur until the fourteenth century. But from this it does not follow that during the intervening time there were made no efforts to prove the armor and to standardize the tests. We incline rather to the belief that each purchaser of armor had a clear idea of the degree of resistance his shirt of mail and his iron headpiece should offer, and that even in his tests he did not fail to make use of crossbow, lance and sword. Unfortunately we do not know from actual experiment, ancient or modern, what a good shirt of mail (weighing, say twenty pounds) will resist, when each link is riveted and hardened, but it was evidently of greater strength than modern shirts of mail unriveted, which, of about equal weight, are claimed by their makers to resist service-revolver ammunition at less than fifty yards. In general we know that early armor of this type was often tried out by the chopping cut (estramafon) of a sword, and that a similar test was used throughout Europe down to the seventeenth century. (Fide Gaya, 1623.) The thrust of a heavy poignard was also a severe test. In this connection I recall in Paris many years ago discussing the proof of fifteenth-century Italian armor with M. V. R. Bachereau, the well-known antiquary of ancient arms: “That armor is indestructible,” declared M. Bachereau, and “it would surprise you to know how flinty hard its surface is.” He told me he had taken from a vitrine a headpiece hall-marked by the great Milanese maker, Antonio di Missaglia, and placed it on a block. He had then struck it with all his strength with a heavy-bladed dagger; the headpiece hardly showed where the point had struck. This incident I mention since it is the only one in which I have known an early helmet to be given a practical test. Perhaps it is not to be wondered at, for museums and collectors can hardly be expected to permit some of their most valuable specimens to be used in ballistic or similar tests! As early as 1340 we have records that armor of two degrees of strength was in use, known respectively as “proof” and the “half proof.” The former would withstand the bolt of a heavy crossbow, which was set with a windlass, the latter only the arrow of the war-bow and the bolt of the small crossbow. Two expressions to distinguish the strength of armor date also from this time (Italy and Savoy), armor “proof to every thrust” (de toute botte) applying apparently to plate armor, and “to thrust broken” (botte cassee) in the sense that the armor yielded and thus broke the thrust. The latter armor, including apparently chain mail and armor of small plates or scales (jazerans, from Spanish Jazerino = Algerian) was apparently the more highly prized; and it was more costly (one fifth or more). Records of proving armor become frequent during the fifteenth century. And by this time measures appear to have been taken to standardize the test. Many cities had their stamps (poincons} and made use of them in certifying to the excellence of their armor. Thus numerous helmets and breastplates in our museums bear the proof mark of Nuremberg (demi-eagle and fesse), Venice (lion of St. Mark), Augsburg (pine-cone); together in some cases with the individual mark of the maker. Occasionally not only is one piece of the armor thus marked but nearly every piece, including gauntlets and leg pieces. And in extremely rare cases (to show what store was set by tests of this kind) the same piece was hall-marked at many points. A Milanese armet in my collection bears the pomfon of proof on its back on the left side, on the right cheek and on the left, and the mark of “double proof” near the back on its right side. The double mark mentioned is believed to record a test of much greater strength. These tests were made with special crossbows and special bolts or quarrels; and tests of this nature were still in force well into the sixteenth century. Occasionally we read of armor which was tested in the presence of the purchaser, who brought with him special bolts and a “good windlass crossbow” to make sure that the proof was severe. This test, we may add, is not easily compared with a modern one, but it was fairly searching, for the projectile was heavy (four or five ounces), revolved in flight, and its point was well adapted to punching holes through metal plates. Such a bolt flew with an initial velocity of about 300 feet a second (writer’s estimate) and it attained a distance of 400 to 500 yards; at 60 yards it would penetrate a wooden plank three fourths of an inch thick. For the rest it becomes clear that testing by firearms was an important factor in the decadence of armor, and that, little by little, each plate grew heavier, till at length the entire panoply became literally unbearable. During this time the competition became intense between the armorer and the gun-maker, whose clients added insult to injury by rejecting a musket if it did not shatter the armor, and rejecting the armor if it did not resist the musket. 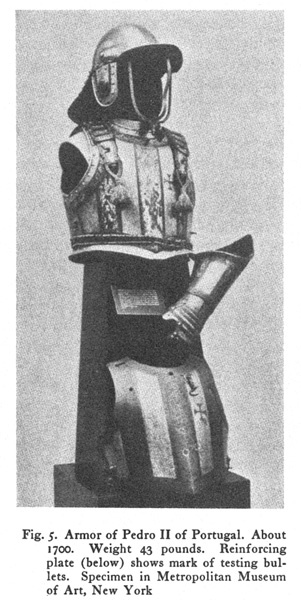 “Of course my fine armor failed,” complained the armorer Colombo of Brescia (1574), “when my patron used an inch charge of powder!” And we can understand how the earlier armor, elegant in its lines, with its delicately adjusted curves, grooves and angles, designed especially to deflect the crossbow bolt, should in time give place to armor, solid and compact, rounded in contour. But even then the proof demanded by the wearer of the armor mounted always higher (“high-proof,” “caliber proof,” “musket proof”) so the armorer was obliged constantly to resort to new devices. He knew little of the metallurgy of steel), so he did not experiment with ballistic alloys; he did, however, like Vulcano of Brescia, strengthen the “fiber” of his heavy plates by the laborious process of hammering them out cold and by using various processes of tempering them; but in general he had either to make his armor of fewer and heavier pieces, or to use the earlier designed reinforcing plates by means of which a patron who had complete armor could strengthen his breastplate or headpiece and at the same time reduce the total weight of his equipment by discarding other pieces, according to his actual need. The result, however, tended ever in the same direction, the armor became far too heavy; and its wearer began to complain that he had become little more than a “living anvil,” for he was so burdened with his harness that his value in active combat became small. Thus, even if dismounted, he could hardly get back into his saddle. (ffoulkes, “The Armorer and his Craft,” page 117.) In the end, throughout the seventeenth century, the best the armorer could do was to keep his clients well mounted at the head of their troops where their presence and beaux gestes could inspire their men to further efforts. And they certainly found their way into the thick of the battle, for we recall that in those days princes and generals exposed themselves in a fashion which would seem to modern tactics little less than criminal. But while the opposing heroes rarely met in single combat in Homeric fashion, it is none the less true that they had often the opportunity of recognizing one another and at close range during the fortunes of battle. Many suits of armor of the latest period (say from 1560 to 1750) bear dents of bullets; certain of these are scars of warfare, but they are usually testing marks. Cf. Figs. 4-6. They were made prior to the finishing of the armor, for they are still apt to be below a russeted, blued or gilded surface, or even to form centers for etched or engraved ornaments. One, two or three of these marks may appear on the breastplate (sometimes at points concealed by large shoulder guards, as in the armor shown in Fig. 6), one on the backplate, one on each hip defense, one on each shoulder. The proof balls may have been shot in the presence of the person who had ordered the armor, at the time the plates were fitted to him but before they were filed and finished. In such a case the bullet was of lead weighing about one ounce, and the charge of black powder was sufficient to cover the bullet when held in the palm of the hand. (Cf. 1667 “Memorial of the Verney Family,” IV, page 30, and the Gaya Reprint, by ffoulkes, Clarendon Press, 1911, page 30). There appears no record as to the distance at which the shot was fired nor the firearm employed, nor yet the mode of wadding, although these are factors which influenced the test vastly. The ancient armorer, we fear, like makers of certain types of modern armor, was apt to gloss over details. Thus, he did not care to have the test made with cartridges specially prepared at the house of his client. “In general,” wrote Pistofilo, “Heaven protect me from the musket which has been specially loaded at home!”, and other writers comment upon the superior force of the first shot from a gun, a condition which, in days of poorly made powder, one may well understand, for a gun barrel would speedily have become clogged with carbon. (E) How heavy, irksome and even dangerous was armor to wear? If one examines Table I, he may compare the weights of various kinds of body armor and helmets. Chain armor was almost as light again as plate armor. Suits of plate, it will be seen, did not increase notably in weight during the century from 1450 to 1550; but during the century following they became heavier by perhaps 20 per cent. Tilting armor naturally attained extraordinary weight, since its wearer needed extreme protection and for only a short period, thus a harness of a hundred and twenty-five pounds might be tolerated if it were to be taken off again within half an hour. 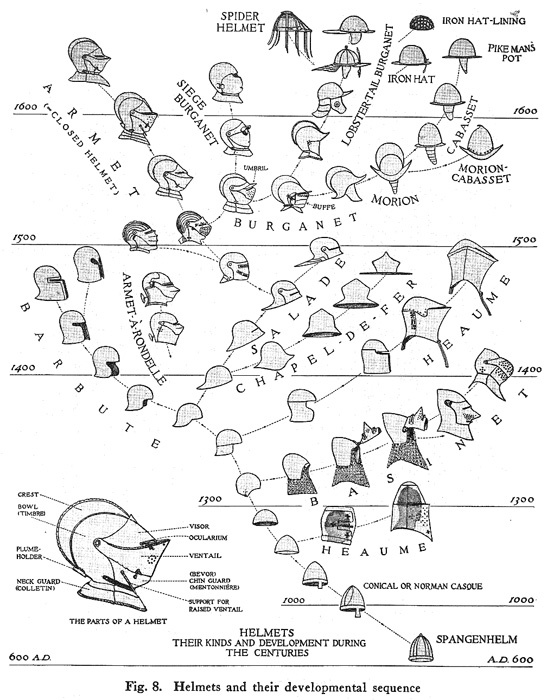 Helmets, of which the various kinds are pictured in Fig. 8, may be divided conveniently into four groups, light, medium, heavy and very heavy. Light headpieces average three pounds in weight and include early bassinets, certain burganets, morions and cabassets, iron hats and hat-linings. Medium helmets weighing about six pounds occur in visored bassinets, salades, barbutes, armets and certain burganets. 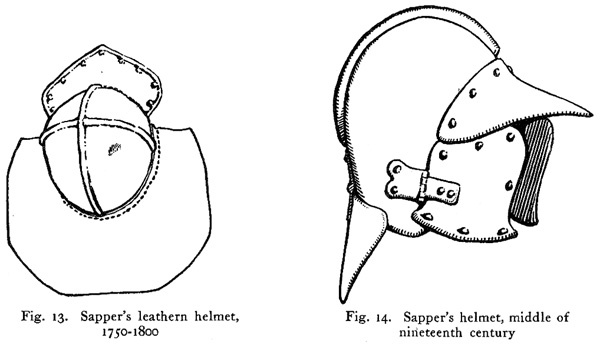 Heavy helmets weigh ten pounds, e.g., closed burganets and tilting armets. And very heavy helmets, say of twenty pounds, are represented by heaumes and siege burganets. The last-named headpieces would probably stand a good ballistic test with the most recent firearms. In their day they were proof to shot of large caliber, which were justly reckoned as most dangerous in crushing armor; they are said to have withstood a quarter pound ball, and even a one pounder when largely spent. In the matter of the discomfort of wearing armor, there can be no question that it was always irksome. But soldiers became used to it and the literature of the subject shows that they rarely complained of its burden until late in the sixteenth century. In earlier times the hardened wearer used it in active service all day long. If exceptionally active he could vault into his saddle (or over it) in full panoply, weighing, say fifty-five pounds, and while his horse was galloping he could jump to the ground without using stirrups;* he could throw himself on his back at full length and gain his feet in hardly more than double the time he could do it unarmed, the last a result which I have confirmed by actual experiment. But these things can be done only when armor fits the individual and is worn over the kind of costume adapted to it, with the necessary “points” for supporting the elements of the suit. See Figs.9 and 9A. In fact, under these conditions armor is worn with surprisingly little discomfort. I can bear witness that a suit of half-armor weighing thirty-five pounds can be worn for a stretch of three hours, and by a novice, without extraordinary fatigue or subsequent lameness. But the fact of the matter was that so far as long marching service in war was concerned armor had become a physiological failure. Not merely was the wearer rendered inactive when wearing it, but in time he became actually crippled or “broken” by its use. A droll writer, whose stories were read everywhere, commented audibly upon the shortcomings of men who had worn armor. Brantome declared that he himself had known them to be spent at thirty years. Montaigne says that “today (1587) the officer is so heavily armed that by the time he becomes thirty-five his shoulders are completely humpbacked.” And La Noue (1587) repeats the same story. The result of this was, according to Buttin, that “officers and soldiers not wishing to be crippled by thirty-five threw away their armor as often as possible, to the detriment of their discipline and to the advancement of much improvised quarrelling.” This marked an important if not a final stage in the armorer’s decline. (F) What in summary was the use of armor in later times, but prior to the Great War? Armor of this kind showed, for one thing, that there was no evident ground for the common belief that the severe shock of a projectile against armor would in itself be fatal to the wearer even when the armor remained unbroken. In fact, we shall see that armor which resists a machine gun, say at fifty yards, did not cause its wearer grave discomfort from the impact even of a series of projectiles. In a word, from the study of the history of armor one can find no reason why it could not be used under certain modern conditions: hence it follows that if armor were required in actual warfare, there would be no need of developing a new system of wearing armor. We should advance merely a step further in its historical development. There is no question, then, that armor passed out of general use not at once but gradually. Thus after the year 1620, leg armor rarely appeared and defenses of the hips and thighs are uncommon from about 1670. Defenses for the arms were abandoned piece by piece somewhat later, although complete arms continued to be used for about a century in ceremonial armor, i.e., as worn by highest officers. 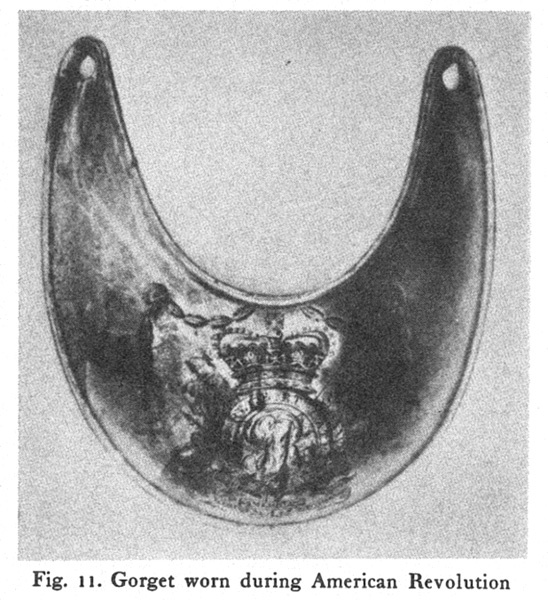 For a long time the neckplate or gorget was retained as part of the regular equipment and it even became exaggerated in size; but it finally became so small that its function as a defense had practically disappeared. 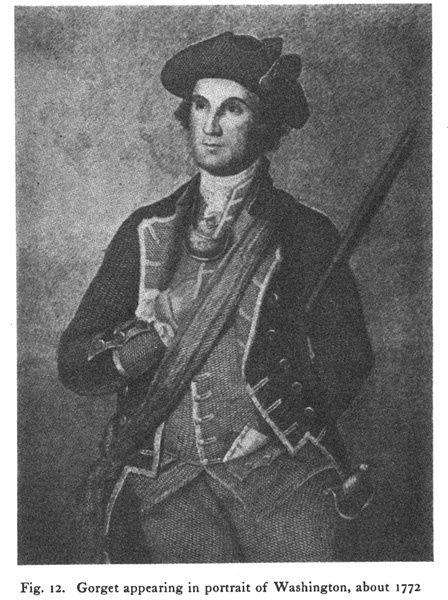 As shown in portraits of Colonial and Revolutionary times, it was little more than an ornament which was attached to the officer’s neck by a ribbon and usually bore his regimental number. See Figs. 11 and 12. The corselet and helmet have remained ever in use in certain state guards or cavalry regiments. These plates were made of low carbon tool-steel and are fairly resistant even to modern explosives. A heavy corselet (forty-one pounds), probably of the time of Napoleon, was recently tested by Captain Roy S. Tinney (National Service Magazine, January, 1918, pages 395-403) and gave good results; it resisted in turn Craig ammunition .30, 40 to 20 with muzzle velocity 1,970 foot seconds; at 100 yards 1,553 foot-pound blow; a Winchester .30, 30, 170, of 1,522 foot pounds; a Sharp’s rifle of .45-90, 300, at 100 yards (muzzle velocity 2,644 foot seconds); and finally the 303 Savage firing a 195-grain bullet having muzzle velocity of 1,658 foot seconds. In a word, such a corselet resisted projectiles which were scarcely inferior to those in use on present battlefields. With this test in mind, we may well believe the early statements that the cuirass of the guardsman played an important part in bodily protection during the eighteenth and nineteenth centuries. During the eighteenth century, we recall that its use was fairly constant for cavalry (for the highest officers, especially, when parts of it, at least, degenerated into a ceremonial costume). And in the early nineteenth century, the corselet and headpiece appeared in great numbers in European armies. For one thing, Napoleon the Great favored their use. And there still exists his order to Requier, chief of the artillery museum of Paris, to send post-haste to Tilsit (1808) the corselets and casques which had been made for himself and the Prince of Wagram. There is no question, also, that armor was worn at a very late date in sieges and in naval warfare. Thus heavy helmets and shields of various forms were used during the eighteenth and nineteenth centuries, especially for the defense of sappers. In Fig. 13 is pictured one of the heavy leathern headpieces worn by sappers (and possibly by firemen), 1750-1800; specimen now in the Tower of London. In Fig. 14 appears a heavy helmet of this type drawn from a specimen in the Tower of London; its weight is over nineteen pounds and it dates from about 1848, judging at least from Raffet’s picture of the siege of Rome in this year, when sappers are shown wearing helmets of this type. 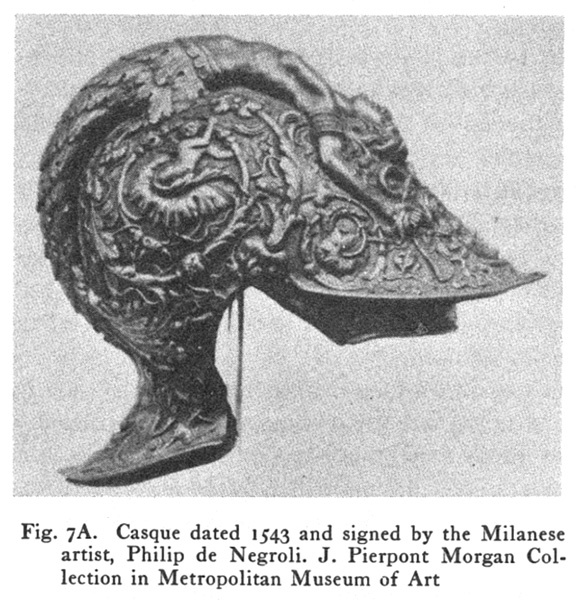 Perhaps, too, we should here mention the numerous types of metal “helmets” which have appeared as headgear for infantry and cavalry during the late eighteenth and throughout the nineteenth century which were of little value save ornamental, e.g., the eagle headpiece of the fugitive German emperor. In the Orient armor was used practically up to our own time and is probably still worn in out-of-the-way localities in Persia and India, more as a ceremonial costume, perhaps, than for use in warfare. Moreover, we know that the Japanese wore armor regularly until about 1870, and fairly good armor it was. Chain mail reappears in the East with curious persistency. As late as the Younghusband Expedition to Thibet (1903) cases occurred where natives were captured whose costume, reinforced with chain mail, had successfully resisted the bayonet thrusts of the English. Hardly earlier than this, chain mail appears to have been worn in the region of the Caucasus. Similarly, we note that coats of mail are still worn secretly wherever danger is dreaded from personal attacks, especially by sword or knife. The writer learns from good authority that a well-known armorer in Paris derived, until about 1908, a substantial part of his income from making shirts of chain mail which were shipped to South America and Africa for actual service. To trace in further detail the use of armor in relatively recent times: It is known that breastplates were worn more or less frequently during the American Civil War. In the museum in Richmond, there is preserved such a “suit” of armor, Fig. 15, which at the time of the siege was taken from a dead soldier in one of the trenches. He was shot in the side or back, for the breastplate, it appears, was not penetrated. This armor was of northern origin. Further inquiry shows that a factory for the making of such defenses was established at New Haven about 1862. The metal employed was a mild steel, .057 inch thick, and the “suit” weighed about seven and one half pounds. While no tests of this armor are available, we estimate from the thickness of its metal, assuming that it is a “mild” steel, that it would have stopped a 230-grain pistol ball traveling at the rate of 500 foot seconds. During the Franco-Prussian War several types of armor were used to a limited degree. The heavy corselet appeared, also the horseman’s helmet. 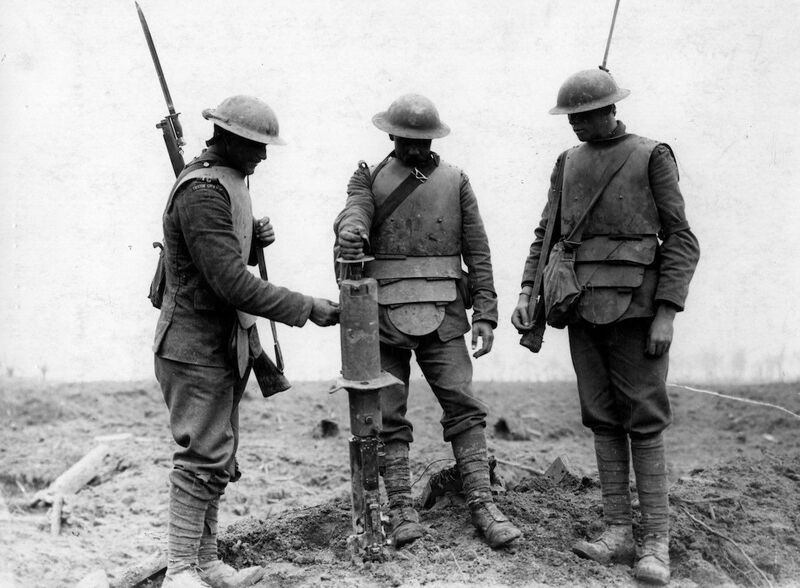 We have occasional reference to the use of a very heavy helmet in the trenches and also of varied types of armored waistcoats. One of these, manufactured in Paris, is shown in Fig. 16. This specimen is made up of small rectangular plates of low carbon steel and riveted to canvas. The entire defense weighs about five pounds and could be worn with a reasonable degree of comfort. It does not resist a 230-grain pistol ball at 650 foot seconds, and from its behavior in this test, one doubts whether it would have resisted a similar bullet at a velocity greater than 300 foot seconds. Its value, therefore, lay in protecting its wearer only from spent balls or splinters. 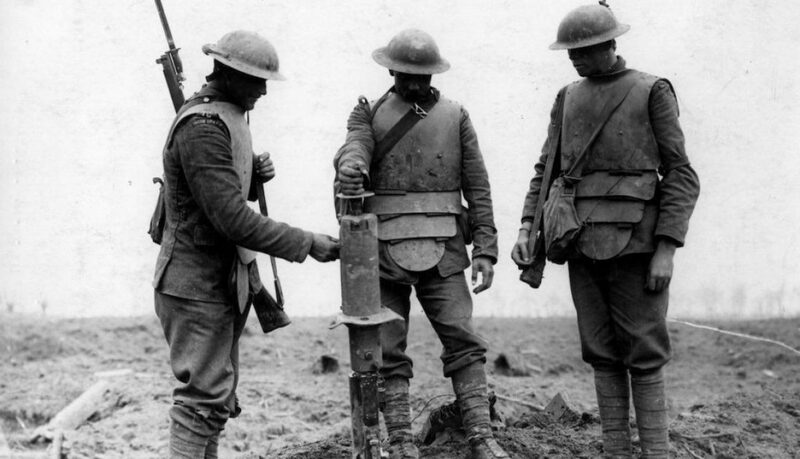 Ballistically, it had much less strength than the light-weight shrapnel helmet in present use in the American Army. In all later wars, armor appears to have been used sporadically, sometimes as body defenses, sometimes as helmets, sometimes again in the form of shields which were either carried by the soldier or pushed in front of him. It was due to small shields of the latter type that the Japanese were able to take some of the most difficult outposts of Port Arthur. Also, in the Boer War armor appears to have been used. Thus in the siege of Ladysmith, helmets were used which are said to have been proof against machine guns. They were clumsy affairs and heavy, and were not firmly attached to the head. No details of these helmets have been recorded nor have we been able to secure photographs of them. From an officer (Lieutenant R. Miller of the Imperial Light Horse) who was present at the siege, the writer learned that the defenses in question were crudely made and were only moderately effective. The most convincing historical instance of the use of helmets and body armor against modern ammunition dates from 1880. This was in the case of the Australian bandit, Ned Kelly, who long owed his freedom to the fact that he wore armor (Fig. 17). This, it appears, he had improvised; it was the “work of some skilled local artisan.” It is said to have been made out of old plowshares, beaten into plates one quarter of an inch thick. It was badly fashioned and extremely heavy, weighing ninety-seven pounds, but it covered the body completely. On various occasions it was badly “shot up” but not penetrated. Its wearer was captured after a several months’ chase and then only after he had been shot in the legs. To give one an idea of the efficacy of this armor against Martini rifles at close range, we insert the following quotations from the official account of this case written by one of the attacking party. This instance of the use of armor against modern gunfire is of especial interest since it shows that an armored man could stand in front of a squad of riflemen, even at close range, and be reasonably immune. He could even kill them all, as Superintendent Hare admits, if he were a skillful marksman. From the time of Kelly’s practical “experiments” up to 1914 the matter of body armor had not been held altogether in abeyance. And he who follows the literature of the subject will be surprised to find how many types of “bullet-proof” devices have been invented. A breastplate known by the name of its promoter, Rowe, apparently patented, was experimented with extensively prior to the year 1901. It gave results so promising that it attracted the personal interest and support of the German emperor. Another body defense known as the corselet Loris was also “tried out” about this time; its inventor demonstrated its effectiveness, if I am correctly informed, in various theatres in France. So, too, a bullet-proof waistcoat was designed by Casimir Zeglin and worn about 1897 in spectacular tests in a New York theatre. And in London similar demonstrations, more or less serious, were made by inventors, whose results, by the way, Sir Hiram Maxim accurately followed up, he himself suggesting a certain type of high alloy plates (containing tungsten) for their armor. Even chain mail was developed by these experimenters. Thus in the military retrospective exhibition of 1889 in Paris types of mail were shown which were “proof” to dagger thrust and to the lead ball (433 inch) of a service revolver. The former mail was made up in alternate rows of links solid and open (i.e., formed so that the tips of the wire merely butted together), made of tempered spring-steel ; the better quality of mail had its links fused or riveted. “Notes sur les armures a I’epreuve.” Annecy, 1901, 100 pp. See also Ch. ffoulkes, “The Armorer and his Craft.” Methuen, London, 1912. That this statement may be given more definitely we point out that arms and armor unquestionably furnish the best expression of the art and the science of the metal worker of the Middle Ages and of the Renaissance: Armor includes in its decoration, gilding, silvering, tinning, damascene, niello, even jewel-setting: its ornamental designs explain to us stages in the development of religious and civil customs, including pageants and sports, not forgetting falconry. It furnished also an important medium for the art of painting: its enriched variants copy for us types of secular apparel of each period; by means of etching it pictures the stuff of which the costumes were made; it also offered an excellent medium for ornament, with lettering and borders. In its mounting it summarizes the textile art of various periods: here appear tissues from the commonest to the most costly, including galloon and fringes, and with these are adequate materials for the study of the art of the leather worker. The size of armor gives us, finally, convincing data as to the state of physical development among the men of many nations. For critical help in preparing this section I am greatly indebted to Mr. Charles W. Gould. 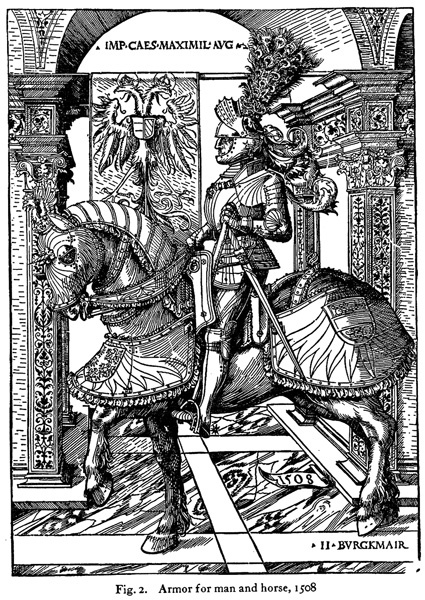 Lefevre de Saint-Remy, “Chronique de Jacques de Lalain’ [1421-1453], published in 1842, Pantheon litter aire. Crossbows were not discarded in the French army until 1566, when, indeed, many soldiers still preferred them to muskets; and in England the use of the musket did not become obligatory until 1596. See Payne-Galway, Sir Ralph, “The Crossbow, Medieval and Modern, Military and Sporting.” 1903, London, XXII, p. 328. In instances all parts were designated as half proof, including even the groin-plate (brayette). v. Catalogue of the armory of the Dukes of Lorraine, 1629. This difference in weight is, however, deceptive; for with chain mail a much heavier supporting costume was worn. Since this was written Miss Helen Gibbs, curator of the Museum of the Virginia Military Institute, has very kindly forwarded to the writer a hip-guard belonging to this body shield. A test shows that it will resist a 45 Colt-revolver bullet of 2OO grains at about 700 foot seconds velocity. A second test was made with standard ammunition (800 foot seconds), 23O-grain jacketed bullet from the 45 automatic: one shot failed to penetrate at ten feet, two penetrated but without splintering the metal. The body shield was, accordingly, a surprisingly good one for its period before the development of higher ballistic alloys. Again, thanks to General Nathaniel Wales of Jamaica Plain, Mass., I have just received very interesting data regarding this “steel vest” of 1862. He states that “it was worn more often than we had any idea of, but many officers felt they should not be protected better than their men, consequently those who wore the armor did not advertise it.” . . . Thus “two of as brave officers as I ever knew wore it, my colonel . . . and my major who was killed, a bullet grazing the bottom edge of the vest and passing through his body.” He states also that his life was saved by it at Antietam (September 17, 1862). Quoting his letter: “I had been presented with a steel vest by my father when I left Massachusetts, but I left it in Washington. When I entered the fight a brother officer, who was wounded, insisted on my putting on his steel vest. . . . When I advanced [in the open to meet a rebel charge in the twenty-first Massachusetts regiment] a bullet [evidently at close range] struck me just below the heart . . . knocking me down. Getting on my feet I walked back to where General Ferrero was lying behind a ledge. As I passed him he said, ‘Where are you going, adjutant?’ I replied, ‘I am hit, sir.’ ‘Where?’ I pointed to the hole in my coat and he said, ‘You had better go to the rear.’ I sat down remarking, ‘Til see how badly I am hurt.’ It was not until I grasped the cartridge-box belt to unclasp it that I realized I was wearing the steel vest. The convex side of the dent had cut through vest, shirt and undershirt making a small cut in the flesh. 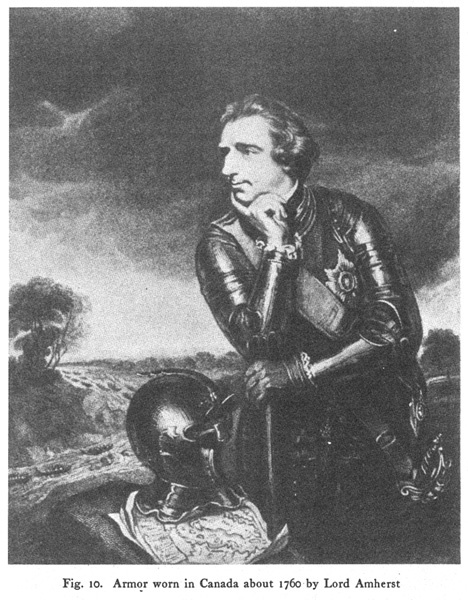 It was considerably swollen and for ten days or a fortnight I was unable to draw a long breath.” The drawing of the armor which accompanies the notes of General Wales shows that his escape was the luckier since the bullet struck the breastplate very close to the point where four plates came together, a region of structural weakness in armor of this type, for the free corners of the plates are held together only by rivets. Editorial note: The M855 5.56x45mm round weighs just 62 grains, so it’s just over a quarter as heavy as the old Mauser round — and it is, needless to say, much smaller than the 500 grain rounds of centuries past, which are like miniature cannonballs in comparison. Of additional note is the notion that the M855 is generally considered ineffective at distances past 500 yards, so it may perhaps be considered inferior to the Mauser in this respect as well, yet, due to its hardened steel penetrator, the M855 is very effective at penetrating steel armor and lesser barriers. Editorial note: In many respects, this holds true to the present day.